This story by Anne Bailey  originally appeared on PRI.org  on July 10, 2017. It is republished here as part of a partnership between PRI and Global Voices. A baby cries for attention while his mother makes tea and tends a stove inside her family’s ger, or yurt. The air inside the heavy canvas walls is thick with the smells of smoke and cheese curd. Two older boys are playing outside. It’s a scene that could be from any time in Mongolia going back hundreds of years, and just about anywhere in the country’s vast open plains, where families of nomadic herders have followed their livestock for countless generations. But things are changing fast in Mongolia. And recently this nomadic family set down its portable home in a place they never expected to end up — a sprawling patchwork of dirt roads, makeshift fences and hundreds of yurts in the country’s crowded capital city of Ulaanbaatar. Dzuds have always been part of life in Mongolia, but with climate change, they seem to be coming more often. And that’s contributing to a cascade of problems — lost traditions, displacement, overcrowding. And smog. Look up on a winter day and you can see it. 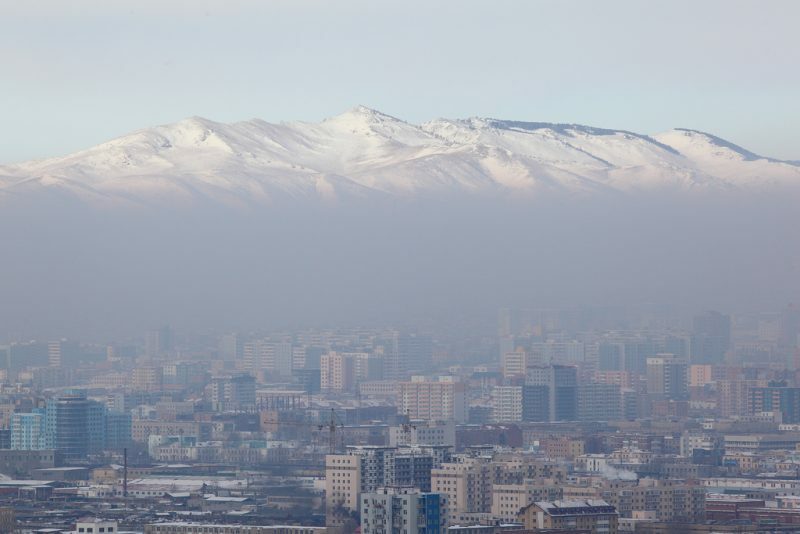 “There is this dome over the city, this grey dome,” says local activist Tuguldur Chuluunbaatar. In the wintertime, many of the city’s new residents burn whatever they have to stay warm. Those are very dirty fuels, made worse by inefficient traditional stoves designed to burn only wood and animal dung. And the smoke from all that burning, along with vehicles, power plants, and industry, gets trapped beneath the colder air above the surrounding mountains. Together they contribute to air quality in this city of 1.4 million that can be worse than in notoriously polluted megacities like Beijing and Mumbai. 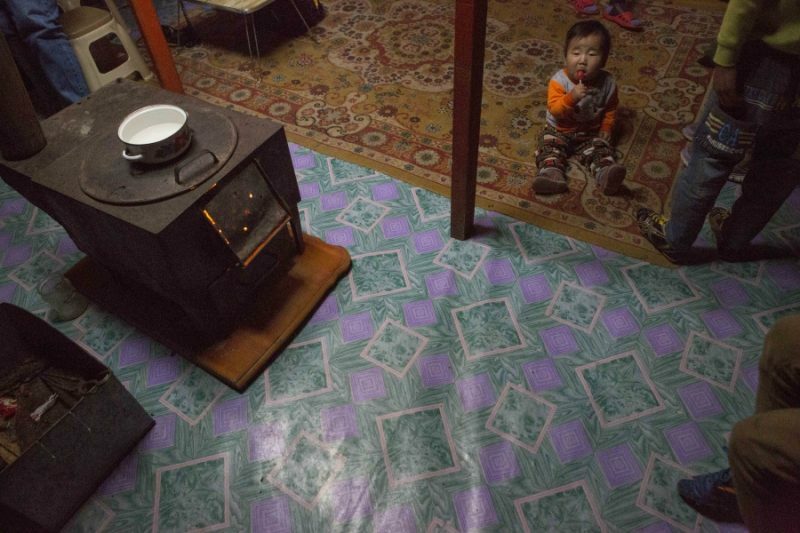 Erdene-Bayar’s family alone burns three tons of coal a winter. He knows that heating his family’s home this way is unhealthy. But he doesn’t see another way. The government here has spent millions of dollars in recent years to fight air pollution. And it has plans to spend more to build high-rise apartments with more efficient central heating for families now living in yurts. But progress has been slow, and many migrants don’t want to give up their traditional homes for walls of concrete. Many still hope to go back to their old ways. But that may be an unrealistic hope. That means less grass for livestock. Which likely means there’ll be even fewer nomadic families, more migration to Ulaanbaatar and more challenges for the city. Local activists like Chuluunbaatar know there’s not much they can do to solve those big problems, but they’re still pushing for change. Chuluunbaatar is part of a community project  that maps environmental and social conditions in the city’s ger district — everything from average distance to a water supply to locations of illegal trash dumps to air pollution. The goal is to use the data to help rally support for action. And things are slowly changing. The government has rolled out tax breaks for small businesses to produce better stoves, and it’s created incentives to encourage residents to heat with somewhat cleaner electricity. But it’s a slow process, and Erdene-Bayar, the former herder, says he hasn’t noticed any improvements. Against all odds, Erdene-Bayar and his family still dream of returning to the country, where the air is clean.